In every round of 13F filings, Berkshire Hathaway‘s equity portfolio is probably the most anticipated by the general investing crowd. Warren Buffett keeps a diversified portfolio consisting of mostly large- and mega-cap companies that have been in business for decades and will probably keep rewarding shareholders with consistent growth for many years ahead. Therefore, while analyzing Berkshire’s 13F filing, it’s not always the top picks that are the most interesting, but rather the changes made to the portfolio. 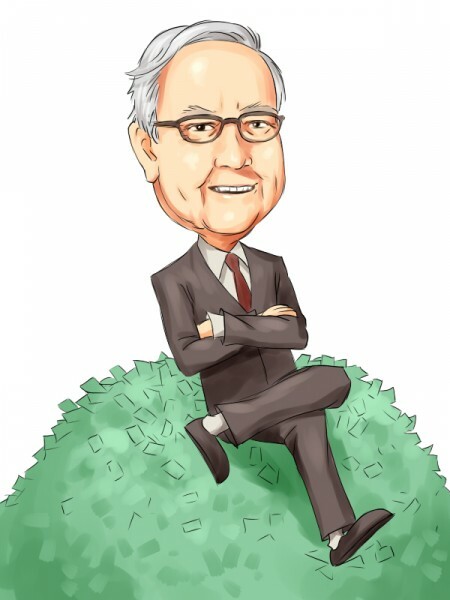 In this article we are going to take a look at some of the most significant moves made by Buffett during the third quarter, including two new holdings and two companies to which Buffett boosted his exposure. Analyzing the equity portfolio of an investor like Warren Buffett gives good insight into how the best money managers generate profits. With billions of dollars in assets, smart money investors spend a lot of time and resources and employ instruments that are not available to most people when picking their next target. This is why imitating these investors can help us beat the market over the long-term. According to our research, following hedge funds and other institutional investors into the small-cap stocks that they are collectively bullish on, can help a retail investor beat the market by as much as one percentage point per month on average. Our small-cap strategy that imitates a portfolio of the 15 most popular small-cap stocks has returned 102% since August 2012, beating the S&P 500 ETF (SPY) by some 53 percentage points (see more details here). Among Warren Buffett’s top picks, three have been in his equity portfolio for years. On the first and third spots, Wells Fargo & Co (NYSE:WFC) and The Coca-Cola Co (NYSE:KO), in which the investor reported 470.29 million shares and 400.00 million shares respectively. The value of the Wells Fargo & Co (NYSE:WFC) holding declined to $24.15 billion, amid an 8% drop of the stock in the third quarter, while the stake in Coca-Cola slid to the third spot from the second as the merger between Kraft and H.J. Heinz (orchestrated by Buffett) was completed and the new company went public at the beginning of July. However, The Coca-Cola Co (NYSE:KO)’s stock inched up by around 3.5% between July and September, increasing the value of Buffett’s holding to $16.05 billion. Another position that remained unchanged at the top of Buffett’s 13F portfolio was the 151.61 million-share stake in American Express Company (NYSE:AXP), that was valued at $11.24 billion at the end of September. Amid a 23% decline of American Express Company (NYSE:AXP)’s stock since the beginning of the year, the value of Berkshire’s position has fallen from $14.11 billion reported as of the end of 2014. On the next page, we are going to take a look at Kraft Heinz Co (NASDAQ:KHC) and AT&T Inc. (NYSE:T), which represent new additions to Berkshire’s equity portfolio, as well as Phillips 66 (NYSE:PSX) and International Business Machines Corp. (NYSE:IBM), in which Buffett raised his stakes heading into the fourth quarter.